When it comes to M&M candies in our house, my husband is a vulture. In the process of making these cupcakes, I had to run out for a little while. As I’m looking at all of the sorted colored candies on the counter, the thought crossed my mind of giving my husband a head’s up. So, I sent him a text message saying, “If you get home before I do, please don’t eat the M&M’s on the counter until I’m finished with the cupcakes.” I smiled and shook my head, thinking of how many times I’ve had to yell at my dad for eating something he wasn’t supposed to, then learning from the situation and having to start hiding things. It’s different with my husband, though. 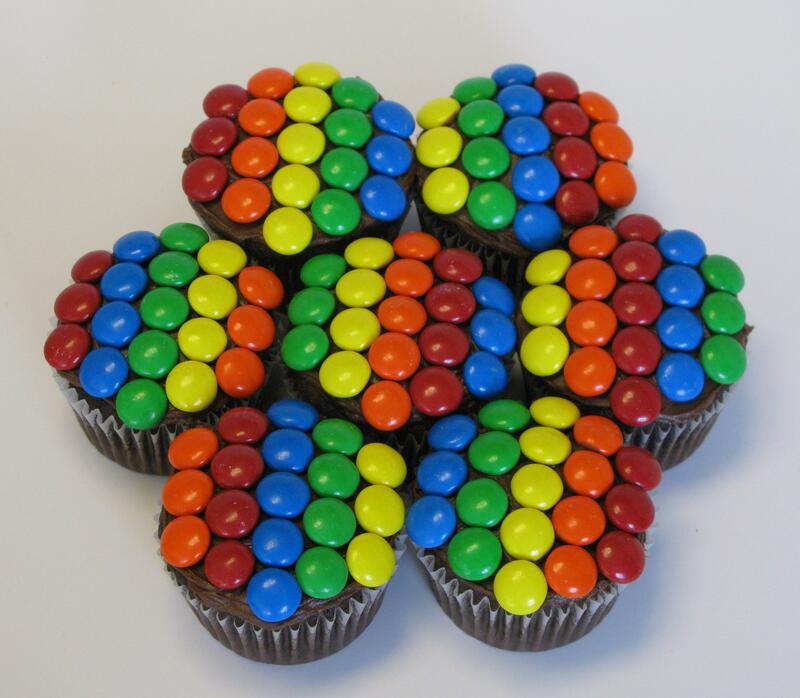 He listens, because he always knows that I will save some for him…which is exactly what I did when he got home, make him his own special little M&M cupcake. He loved it. 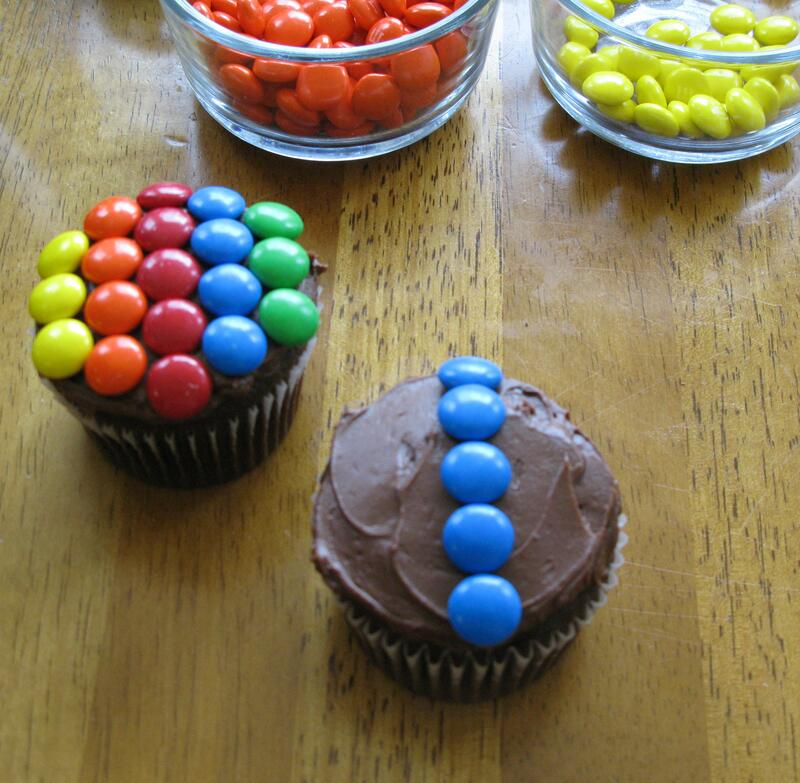 One of the many wonderful things about these cupcakes is the fact that they’re so simple to make and decorate. 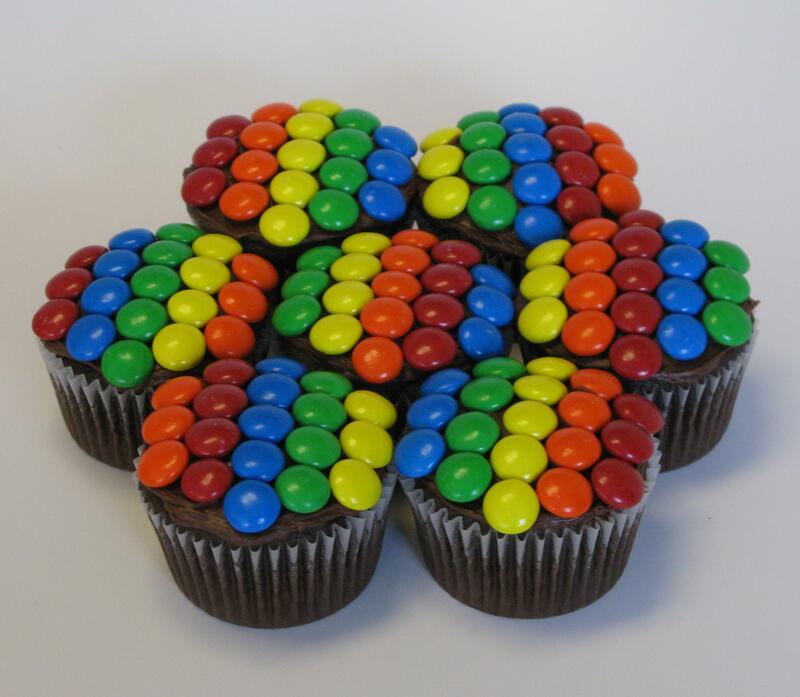 It would be a really fun project for them to stick all of the candies on top of the cupcakes! First, make the batch of cupcakes. After they have cooled completely, spread a layer of chocolate icing on top. As you can see here, I have already sorted out the different colored candies. Instead of yellow being the middle color of all the cupcakes, I rotated the colors through for more of a variety. 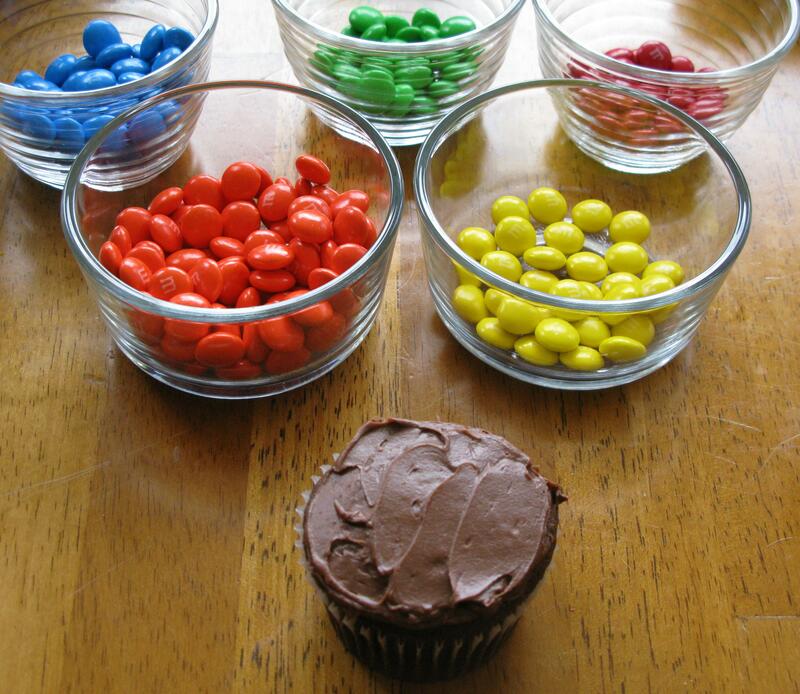 I’m big on numbers, so once I figured out how many candies of each color fit into a row, it was a piece of cupcake. 😉 Five candies in the middle row, four on either side of the middle row, and three on the two outer rows. I made sure to press the M side down into the cupcake, so all you see are the colors. Another wonderful thing is being able to switch up the colors and patterns. M&M’s have seasonal items, so you can use colors accordingly with Valentine’s Day, Easter, Christmas, etc. If you want to make some with school colors, you can do that as well! So many options. So much chocolate. Combine all ingredients in medium bowl and beat with electric mixer for 2-4 minutes at medium speed. Using standard ice cream scoop, spoon into lined cupcake pan. Bake at 350 degrees for 22-24 minutes, or until toothpick inserted comes out clean. Cool completely on cooling racks. *I just used a can of Duncan Hines classic chocolate icing. Quick, easy, and delicious.